Welform Electrodes can provide engineering solutions for your resistance welding component concerns. We manufacture components to our customers’ prints or we will reverse engineer any consumable copper component that our customers provide us. 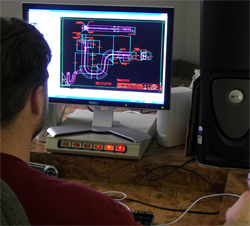 Welform employs engineers who design components using the latest versions of CAD 2D and 3D software. Please utilize Welform Electrodes as your “one-stop” source for all of your resistance welding requirements.